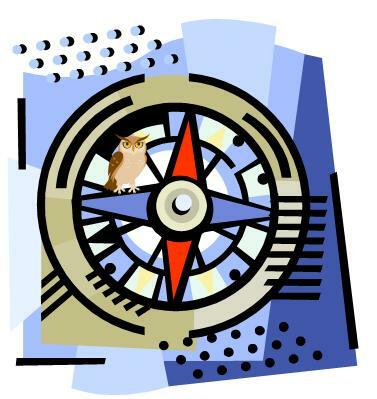 Friday’s post entitled Confessions of a Night Owl hopefully illuminated the perspective of individuals who struggle to function well in the morning. Today’s post looks toward helping night owls successfully live in an early-bird society. Over the years, many techniques have increased my ability to become a morning person. Yet, no matter how much effort I put forth, being a morning person has yet to become easy or natural for me. Because of my physical makeup, mornings will always be more of a struggle for me than the rest of the day. But that doesn’t mean they can’t be productive and positive before 10:00AM. The following suggestions have developed over many years of trial and error. Keep in mind that these suggestions work best for individuals adhering to healthy lifestyle principles. Also keep in mind the importance of individualizing your approach. Get thinking, but do it gently. For me, this means reading scripture, checking the weather, and drinking something warm. Find simple warm-ups that gently coax your brain toward action. Do what works. A warm drink, sometimes green tea and sometimes coffee, exists as an essential part of the first ½ hour of my morning. While I don’t like depending on caffeine, sometimes it is necessary for the sake of relationships. Oh yeah, I brush my teeth right away too. Just better for everyone that way. Don’t make decisions. When I worked outside of the home, I prepared everything the night before. This meant the coffee was ready, my briefcase was ready, my clothes were laid out, and my lunch was packed. Now, I make sure my boys have everything ready for the next school day before they go to bed. They also need to do any “asking” the night before too. No requesting extras the next morning. The fewer decisions to make in the morning, the smoother the morning. Don’t think about the day ahead. This means I just do what’s next in my routine, knowing that the prep work for the day is already done. Say as little as possible. For some reason, my tone is either sarcastic or nagging before 10:00AM without great effort on my part to sound otherwise. Even with great effort, I usually sound slightly irritated anyway. So, I simply say as little as possible in the morning. I listen, I hug, and I say goodbye. All are happier that way. My kids and husband – who are all morning people, by the way – know that I struggle in the morning, and they do their very best to not push my very sensitive buttons. I promise to try not to scowl, and they promise to try to keep to the routine. As I reflect over my life, I am thankful that my morning personality has gotten gradually friendlier. But, I also realize that the struggle for this to happen really has not gone away, lessened a bit perhaps but not gone. Establishing a solid routine and developing positive habits can allow the night owls in this world to function and even be productive in the morning, and, dare I say it, even have positive conversations before 10:00AM. DISCUSSION: How does growing outside of our natural tendencies help our relationships? Why is struggling in these ways important for connection? This entry was posted in Uncategorized and tagged morning person, night owl, positive habits, solid routine, survive mornings by admin. Bookmark the permalink. I guess I will chuckle as I get up plenty early each day, but I can say amen for those who need it – like my wife. My husband can be \”on\” any time of day to fit whatever the day needs. We appreciate each other\’s difference for sure. Hi Kari, I find if I have something that disrupts my sleep schedule, like a very late night, or a very early morning, then I struggle more for several days with getting my body to wake up and my thought processes to get working. I have also, because of my husband, become an afternoon napper, and so I hit a place where give me 15 to 30 minutes and I can roll again, but without them I struggle. I too like the QUIET of mornings, while others turn on the radio or TV. You have a great idea about having everything ready the night before! God knows all our quirks and loves us just as we are. Isn’t that amazing some days! Good point, Mary. Having a regular wake/sleep routine is crucial. My husband and I try to keep our routines the same, so we can optimize the time we get to spend together. Even varying that by 15 minutes can cause you to feel "off." Also, the value of afternoon naps is well-documented. Michael Hyatt had an interesting podcast about that a while back. My husband is a gifted napper… anywhere, anytime. He can recharge in just 15 minutes. For me, I struggle a bit more at naps but am learning to adapt how I nap, and that seems to be working. Maybe I'll write a post on that at some point. You are right in that God knows our quirks. We can even go so far as to say he designed us with them, perhaps for interest and perhaps for relatability. Hi Everyone – this is Kari's mom. I just wanted to offer a couple of comments here. When Kari says I brought her coffee in bed when she was in school, she is absolutely right! Even though she had to wake up 20 minutes earlier when I delivered coffee, she functioned so much better and made our morning so much brighter. I too am a morning person but slowing down recently and enjoying sleeping in until 8:00. I also find that if something interupts my morning routine of devotion and reading time, my day does seem off. We all need to find what "refuels" us. For some it is a nap or quiet time during the day, for others it's that burst of energy you get when a new project comes your way. Sometimes I wonder if I didn't just instill a bad habit in my daughter but when I see what a wonderful Christian person she is today I can't help thinking that I did somethings right. You're awesome mom! You adapted to what I needed, and really that's what we all need to do. We adapt for each other to help each other be at our best each and every day. Routine and habit are so crucial. I mean, we need flexibility, but it should be the exception as we allow our routines to prepare us for what life hands us. And, we all need others to help us handle those things too. It is so nice to hear from you. I appreciate knowing you read her blog. What she does means a lot to all of us and she has her own community of friends here. You should be proud of her. Thanks for what you did in molding her. Absolutely love this, Kari. You've helped me see that we do a disservice to people by trying to make them fit into acceptable boxes. How much better to learn to thrive with who and what you are. Like I will never be 100% scheduled and regimented. I keep thinking that's the best way to be, but honestly it's not how God made me. He made me to be thinking about new ideas and to be willing to talk to a hurting friend even if I'm in the middle of something. Yes, I can get caught up in unproductive things, but the answer for me isn't forcing myself to be regimented. LOL on the teeth brushing. Love your example, Melanie. Wish I could be more okay with being interrupted and my plan not going exactly as I think it should. I think I'm missing out on opportunities to minister. We ARE all different and made that way for a reason. Doesn't mean we shouldn't try to improve and grow and change, but it does mean that we shouldn't try to be anyone but who God made us to be. I've learned that for myself, and now I've got to learn to be okay with others living that way too. Even though I do ok as a morning person it still is very helpful to apply these ideas you have Kari. It helps me to prepare for the next day by getting my stuff together the night before and even planning the next day. It helps me to try to not cut everything to the minute and to add in extra minutes so I do not have to hurry to get somewhere. It was great seeing your mom weigh in above!! You\’re right, Mark. They are just good, organizational tips too. Didn\’t think of it that way. I am glad my mom commented too. She has a lot to offer for sure. Hitting off of some of what you said – it helps me to spend some time alone. When I can get a devotional and some alone-time built in, I'm much more of a nice and kind person when I encounter others. Me too. Time alone can be a great way to warm up your brain. Plus, the devotional/prayer time is essential to positive relationships for sure. As a morning person who often gets up as early as 3:30 or 4:00, these suggestions make me chuckle. 🙂 But having been married to a man for 30 years who stumbles into the kitchen to turn on the coffee, barely opening his eyes on the way, I understand them! (He also makes me laugh, but I do it silently. 🙂 ) It's great that you know yourself so well and make plans to function the best way possible! I need a list that tells me how to stay away after 8:00 at night! Yet another example of how opposites attract. Also, you hit on a key point that I want to bring out: Know.thyself. So important for so many reasons. I really WANT to be a morning person and start my day that early. But just like with wanting to run a marathon, my body just doesn\’t cooperate. My husband is actually an all-day person. He doesn\’t have a \”down\” or \”up\” time. People have actually called him.the Energizer Bunny.